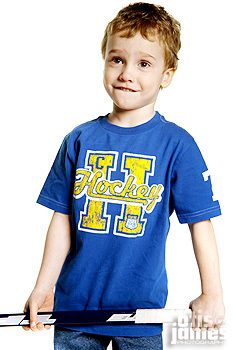 TBWMYF v.7 :: The ‘Charlie… Future Hockey Star’ Edition! I’ve prepared a Wikipedia article for you later in life. Just insert the proper information once you know it, and you should be good to go. Also, just wanted to let you you know that we had a great time working with you down at the FunCenter the other day! 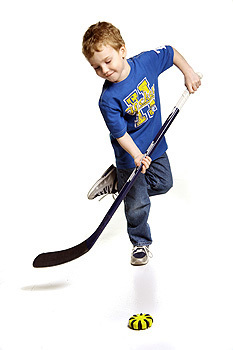 Dude, your skillz with the puck are amazing…you’re gonna go far, friend! Well, I’ll let you get back to the business of being Charlie, but again just wanted to give MuchLove to you for stopping on down, and if you happen to see any of the good people of blog out there, let them know they should Enjoy! He is generally regarded as the best player of his era and has been called ” other than Gretzky, the greatest hockey player ever” by many sportswriters, players, coaches, and fans. Along with his many awards and achievements, he is the only player to ever have his playing number, [INSERT NUMBER HERE], officially retired across the entire National Hockey League. 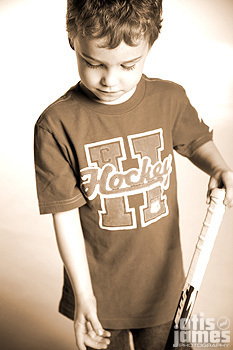 Identified as a hockey prodigy at a very young age, [CHARLIE] regularly played at a level far above his peers. He became a full professional at the age of 17 in the NHL. He set 40 regular-season records, 15 playoff records, 6 All-Star records, won four Stanley Cups with the [INSERT TEAM NAME HERE], and won 9 MVP awards and 10 scoring titles. He is the only player (other than Gretzky) ever to total over 200 points in a season (a feat that he accomplished four times in his career). In addition, he tallied over 100 points a season for 15 NHL seasons, 13 of them consecutively. Previous Previous post: TBWMYF v.6 :: The Norma & Jacob Edition! Next Next post: TBWMYF v.8 :: The Krista & Quentin Edition!